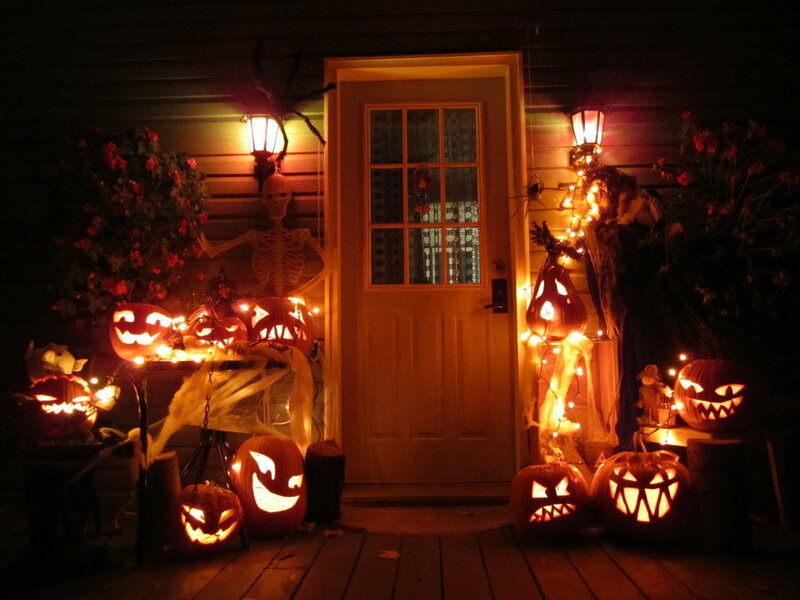 Halloween is celebrated in the U.S. and Canada on the largest scale, where it is most popular. Despite the fact that Americans celebrate it more than two centuries, it is yet to be acclaim as an official holiday. However, this does not prevent residents of the New World in spending big money on pumpkins, decorations, candles and greeting cards. Halloween is an ancient festival also known as the eve of all saints which is celebrated on 31st October every year. Over the last ten years, this ritual has become a popular in a host of European countries including France, Russia and Spain. On this night, the ancient Celtic legend, the worlds of the living and the dead open their doors and the inhabitants of the other world made their way to the ground. In order to avoid becoming victims of spirits and ghosts, the Celts extinguished the fire in their homes, put animal skins on themselves to deter uninvited strangers. The symbol of the holiday is a pumpkin which is used to scare away evil spirits from the sacred fire. This tradition has been passed down from generation to generation until the first century AD. After the invasion of the Romans, the Celts, who lived on the islands of Britain and Ireland, were forced to withdraw from most of the customs and embrace the Christian faith. If you decide to decorate your home, you should follow the tradition and buy a pumpkin. Place it in a cool and dark place. Remember that high temperatures and sunlight may adversely affect the quality that may destroy the decor of your holiday. For making the pumpkin as a lamp, cut off the top, remove the pulp and draw evil smirk face by making holes for the eyes and mouth on the pumpkin. Don’t forget to is place a lighted candle in it. It is thought that light from the pumpkin guards and wards off evil spirits and dark forces. You need to change the colour design of the interior and the easiest way to do it is to drape the walls with a dark fabric (black, purple or orange). Burn candles in the hallway, doorsteps and within the corners of the house. You can buy multi colour candles for a good interior look. You can decorate the staircase for Halloween with drawing such as black birds, rats and witches and you can decorate your fridge by cutting a white chart in shape of a skeleton.